We can’t wait to share our new home with you. 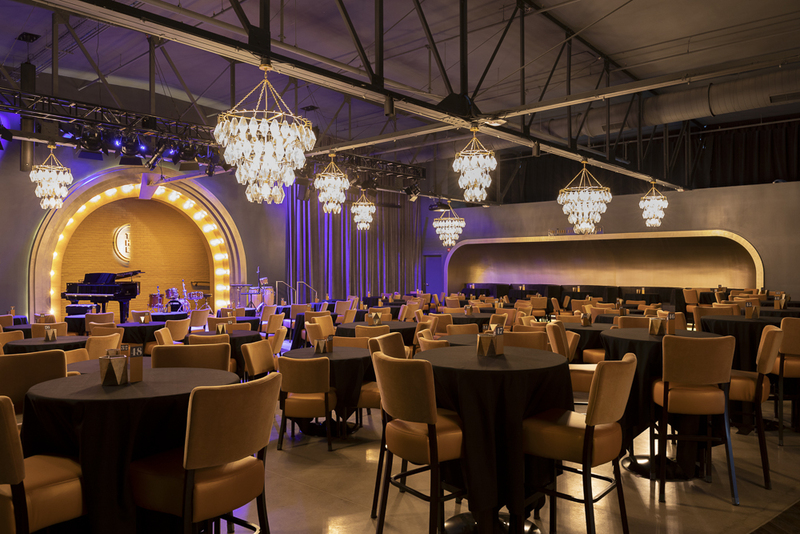 Old Hollywood meets industrial chic at The Christel DeHaan Theater – an industrial space transformed by luxe details and high-end furnishings. Located in the historic Metzger Building in downtown Indianapolis, The Cabaret is the perfect place to celebrate, create and collaborate. Host your upcoming wedding, performance, fundraiser, conference, meeting, lecture, film screening or special event at one of Indianapolis’ hottest new venues. Excite your guests with The Jazz Kitchen’s freshly-made menu options, featuring a unique selection of culinary creations influenced by cuisine from around the world. Each menu is perfectly crafted for your occasion and can be adjusted to accommodate any dietary needs. We offer a 25% discount to non-profit organizations.